The loudness war is over. EDM artists are too busy finding ways to get their mixes sounding louder to reminisce about the days of dynamics. Although I agree with the loudness conservatives who say they’d “rather hear a quieter mix than a brick wall of distortion”, there are correct ways to go about sacrificing dynamics. The truth, in short, is that this all starts at the sound design stage rather than the mastering stage. 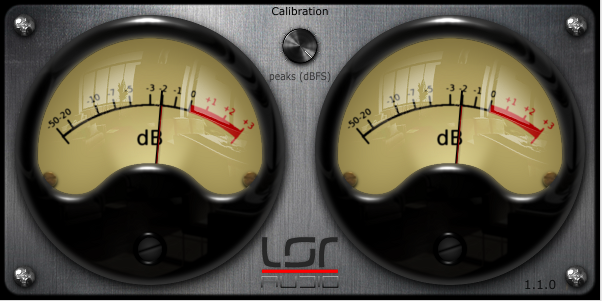 By utilizing the full potential loudness of individual elements from the ground up, you enable the mastering engineer to drive the limiter at a higher threshold without getting distortion. Despite the almost comical amount of controversy on the topic, I’ll do my best to point you in the right direction of getting a loud(er) mix. The loudness war started off when some research was done about the way people enjoy music. 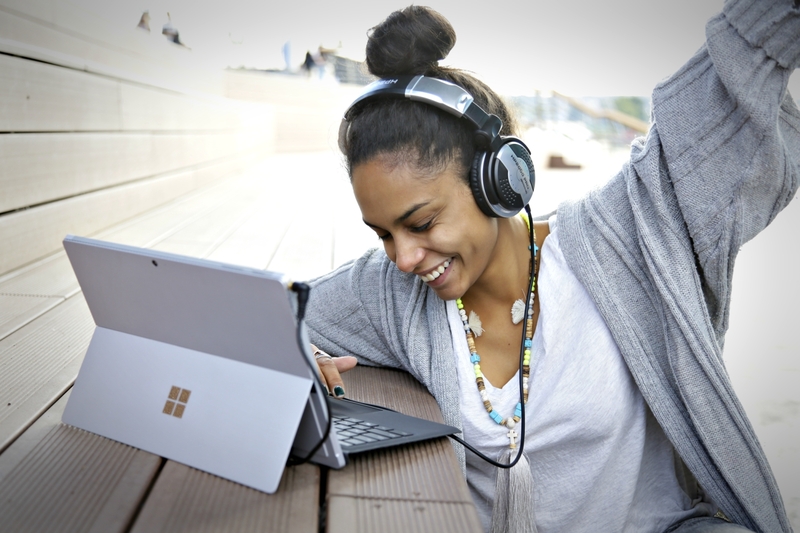 Amongst the conclusions, there was interesting data suggesting people are more likely to enjoy songs that sound louder relative to another track. Of course, all the biggest engineers in LA jumped on-board and went about finding ways to achieve the loudest audio levels possible within the restrictions of their software and hardware. It became apparent that the only way to accomplish this was by sacrificing dynamics – this is where the whole argument started. The Red Hot Chilli Peppers’ Can’t Stop is one of the first big albums that was influenced by this development. If you look at the songs in your DAW you’ll realize that the top of the waveform is cut off and starts to look like a full rectangle as you zoom out. 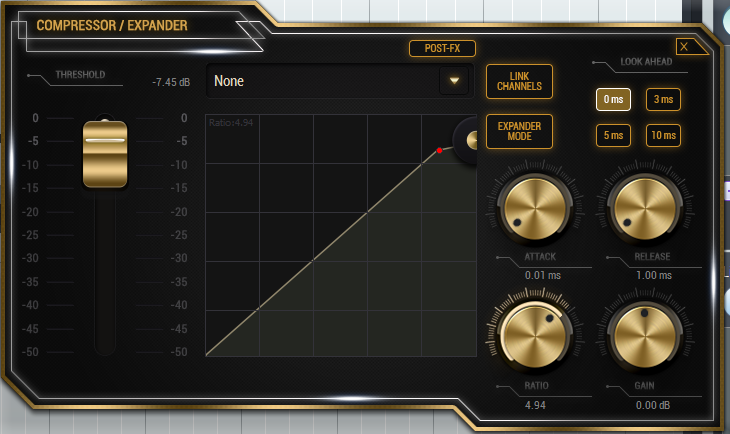 The reason for that truncated waveform is the limiter on the master bus. The loudness war has given birth to the art-form that is… “getting your mix to sound loudest without distorting”. We accomplish this using a range of effects that you can find in just about any DAW: Saturation, Compression, Limiting, and EQ. Digital saturators emulate the effect of running tape too hot. In the days when engineers were recording and mixing on tape, running too much signal into the tape would add harmonics and naturally compress the dynamic range. The DAW equivalent is running a meter into the red – except – this causes clipping. And, digital clipping doesn’t have an appealing effect on the sound. Saturation can help make a sound louder because, by reducing the dynamics, it creates a denser waveform with more “area under the curve”. The added harmonics actually help make the sound “fuller” without really increasing its overall level. Compressors reduce the dynamic range of a signal by reducing the gain as the input signal crosses a determined threshold. The ratio determines the strength of this reduction. In a ratio of 2:1, every dB that crosses the threshold is halved. The time parameters – attack, release – determine how quickly the compressor starts acting once the signal has crossed the threshold. Levels of various elements in a track can vary greatly. However, these momentary peaks don’t really have an impact on how loud we perceive the overall element to be. By compressing a signal, we can take control of these fluctuations in level without really decreasing the loudness of the mix. This ultimately means we can boost the level even louder in the mastering stage. Last but not least, limiting is the effect that treats loudness most directly and that will ultimately enable us to get the full potential out of our sound. A limiter can be seen as a radical compressor. It stops any signal from going over a certain threshold. When pushed too hard, a limiter will distort and this is not (always) meliorative. To get the most out of a limiter, it’s important to compress the signal first. Feeding a stable signal into the limiter will prevent it from distorting peaks. Now that you have a better idea of how these effects can be applied, I’m going to go through two examples. Then, I’ll apply them to elements you might find in a track and discuss how to get them to sound louder without increasing the actual levels in your DAW. Drums are very delicate in the sense that simply dropping a limiter on them and crushing them to get more volume will completely destroy the transients of individual hits; meaning, they will no longer cut through your mix. However, for the purpose of this example, I will push this technique to the extreme to really demonstrate how far it goes. I’ll be using TAL-Tube and LVLMeter which are freeware VSTs as well as built-in SoundBridge FX. For this first example, I’ve loaded up a snare from SoundBridget’s default sample pack. My level meter shows me that it’s hitting -2 dB. After applying some saturation, I’ve managed to lower the level of the signal by 3 dB. Yes, the compromise is some coloration of the sound, but I am applying extreme settings for demonstration purposes. As you can see from the level meter again, the peak (red line) is just above -5 dB. 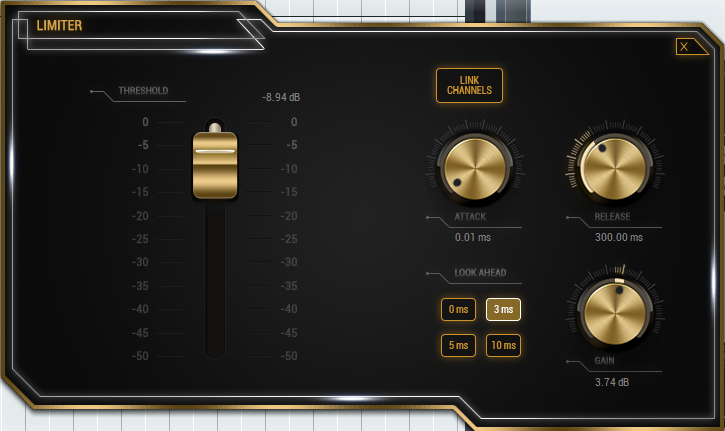 After the saturator, I’ve placed Soundbridge’s built-in compressor. I took down the attack and put the ratio up to about 5:1. Then, I moved the threshold until hearing the transient being affected. I mentioned before that drum transients are precious. In this particular example, if I moved the threshold any lower, I’d be butchering them. Now looking at the meter again, I see that I’ve decreased the level by another 2 dB. Without decreasing the actual perceived loudness of the sound, I have a sound that is actually 5 dB quieter than the first. What this ultimately means is that I can boost the volume of the final sample 5 decibels before it reaches the level of the first. For this second example, I’ve gone through this same process with a simple wobble bass I created in Massive. As we can see from the meter, it’s hitting around -6 dB. Like with the snare, I applied the other effects in the same order. With this bass, there aren’t any transients I have to watch out for but I want to be careful not to distort the sound too much. What proves to be a limitation when working with basses is the large range of frequency content This prevents us from significantly reducing the level of the sound without distorting it. However, with some great plug-ins, the margins are bigger and you can apply them more prominently. After our limiter, the meter picks up a sound at -8.5 dB. This effectively means that we’ve reduced the level of our bass by 2.5 dB without making it sound any quieter. Not only does the bass not sound louder, it sounds brighter and better. This is because the effects have naturally equalized the sound to bring out the highs and attenuate the lows. Because our ears respond to high-frequency content much stronger, the sound seems to be at the same loudness. Although this second example is less apparent than the first, the final bass is a little louder than the first and the effects have colored it favorably. Now it will come through the mix more and will work with other elements better. As well as this, in the mastering stages, the fact that we have tamed it will enable engineers to limit harder without actually distorting the audio. These loudness concepts can be applied to just about anything in your track. But if you overuse them, you will get a very flat and dull mix. Hence, I would recommend applying them only to the elements in your track you wish to bring out.